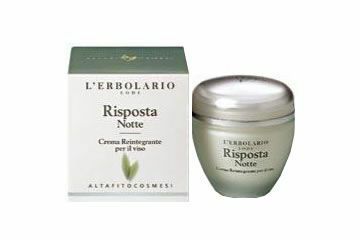 A day cream created to ensure maximum comfort. 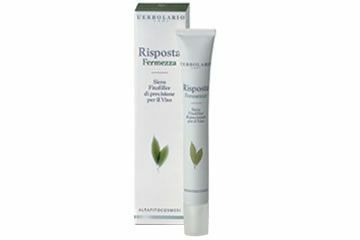 With a light texture, translucent and ultra fine, it is easily applied to the face, neck and cleavage. Risposta Perfection has immediate and surprising effects: the skin is visibly smoother, softer and firmer, as well as being considerably more compact and supple. And the perfection continues: this treatment provides the face with a whole range of natural moisturising, protective and elasticising factors (arranged around the two polysaccharides of Delicate Siliqua and the purified fraction of Soy seeds). Perfection in just a few weeks! A genuinely visible lifting effect and clear firming of the skin, as well as a more relaxed, better defined and younger-looking expression. A continually changing world demands more and more from the modern woman. She has to be active, dynamic, tireless and juggle her time successfully between work and family. She must be flexible, efficient and productive, but also know how to retain her femininity and look good. So women are asking for more, too. Although they know you cannot turn back the clock, they want help in keeping their skin fresh and attenuating the most obvious signs of tiredness, as well as in protecting it against an environment which is not always kind to it. Phytocosmetics, or rather High Phytocosmetics, has provided the Responses. In this situation, the level of responsibility of L’Erbolario research has naturally increased and this has led to an increase in the quality of the Response. 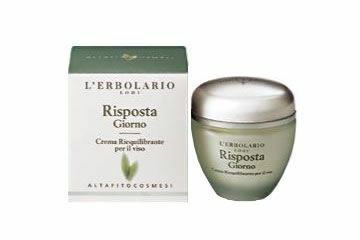 Advanced Phytocosmetics from L’Erbolario derives from the most advanced vegetable-based cosmetics and offers the best response to all the needs of modernskin. 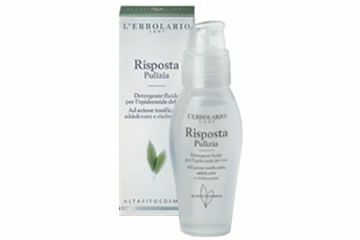 Its benefits lie principally in the ability to concentrate all the effectiveness of its ingredients, formulas and characteristics on obtaining the best results in terms of beauty and protection against wrinkles. 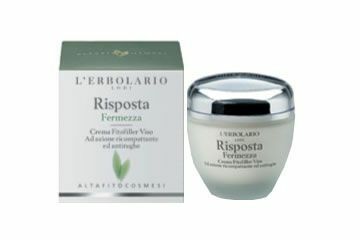 Risposta from L'Erbolario is the best high profile skin care line of products. Give it a try. Risposta means response... The answers are the the face wrinkles. I like so much this cream. 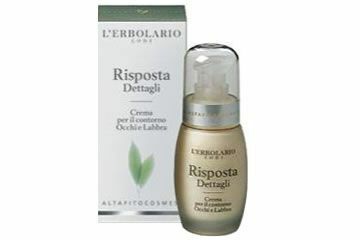 This a cream an high profile face cream. This is one of the best line in the world.